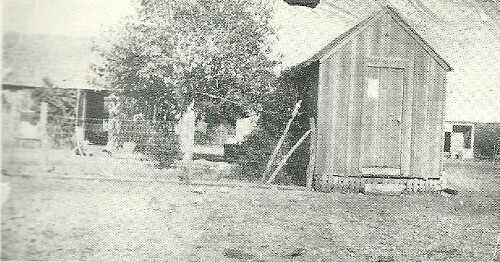 "Henze Post Office on old Joe Thurman place - 1904. Washed away in flood in 1935." 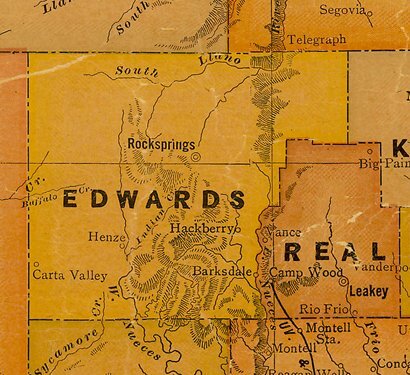 Courtesy The Rocksprings Woman's Club, from their book "The History of Edwards County"
Although it is found on a Texas map (c. 1920), there was nothing known of Henze, Texas when it was first posted. 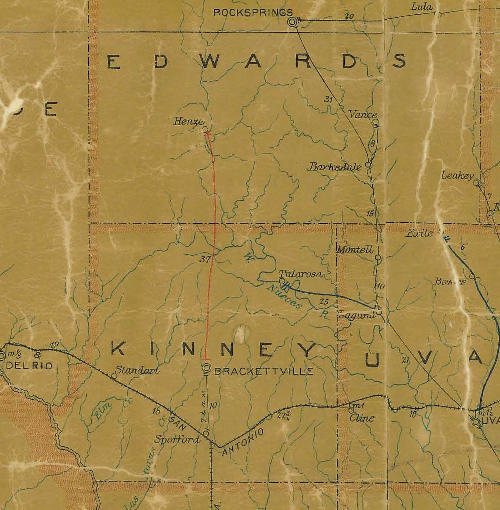 The 1907 postal map showed that it received its mail from Brackettville. William Beauchamp, having been in this part of Edwards County, recognized connections to the Kickapoo Community. 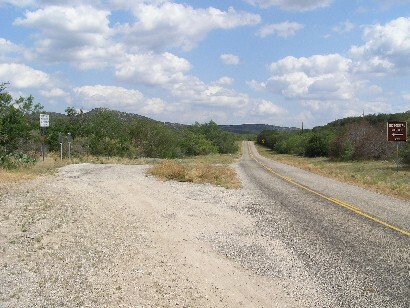 Although Henze appears on the map and Kickapoo or the Thurman Ranch do not, they are loosely tied to one another. Another reader submitted a string of links to various genealogy sites, so Henze information is out there, after all. The source of the name remains a mystery as does the omission of Kickapoo or Thurman Ranch on either map. See Kickapoo Community for information relevant to Henze. - Ed.